Very useful. Logical. The cases and dilemma's in capacity development were very interesting! The training was complete. It has a head, body and feet! 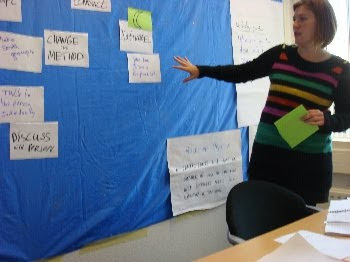 These were some of the comments from the participants in the training capacity development, which was organized by the Hendrik Kraemer Institute in Utrecht. Capacity development advisors from the Theatre Embassy, ICCO and Mensen met een Missie participated in this training. Within a couple of months they will be working for local organisations in e.a. India, Kenya, Indonesia and Honduras to strengthen their capacities for improved service delivery.